Incendiary bullets are used against flammable targets and have an incendiary composition in the nose portion which is ignited on impact. Incendiary bullets are usually encountered in rifle calibers. Phosphorus is another well-known incendiary agent, and phosphorus or phosphorus-based compositions have been used in both incendiary and tracer rounds. Because of manufacturing difficulties in working with phosphorus, such compositions have largely been replaced with magnesium type mixtures. However, they are encountered in older ammunition and are still manufactured in some non-European countries. Although presenting manufacturing difficulties, phosphorus or phosphorus-based compositions were effective both in incendiary and tracer roles. One such incendiary composition was a mixture of phosphorus and aluminum. Figure 11.4 Multipurpose filled bullets. are also tracer/incendiary and armor piercing/incendiary/tracer bullets. An explosive charge or a lachrymal agent may also be incorporated in multipurpose filled bullets. Two World War II examples of multipurpose filled bullets are shown in Figure 11.4. In the armor-piercing/incendiary bullet the initiator charge was a mixture of potassium chlorate, magnesium, and antimony. The main incendiary composition was a mixture of magnesium, aluminum, barium chlorate, sulfur, and nitrocellulose flake powder. The tracer/incendiary bullet had two side vents which were sealed with a fusible metal consisting of tin, bismuth, and antimony. On passage down the barrel, the frictional heat melted the fusible seal and ignition of the phosphorus occurred on contact with the air, enabling the phosphorus to act as a tracer as well as an incendiary. Shotgun pellets (shot) are round metal balls available in various sizes, degrees of hardness, and materials depending on their intended use. An unusual cubic shot load is manufactured in 12, 16, and 20 gauge and is claimed to give a faster opening pattern and reduced ricochet hazard than do round pellets. In shotgun cartridges the pellets are contained within the cartridge case. The pellets in a cartridge are normally the same size and composition, but cartridges are available that are loaded with a range of different pellet sizes (Duplex). The pellets are sometimes graphite coated, copper plated, or nickel plated. Plated shot is normally confined to hard or extra hard shot. The alloying metal is usually antimony, and lead pellets typically contain between 0% and 6% antimony, although up to 12% antimony has been encountered. Tungsten-polymer shot is also manufactured and, as the name implies, contains tungsten metal embedded in some sort of thermoplastic. Sometimes a plastic buffer material (usually white granulated polyethylene) is mixed with the shot to help prevent distortion during discharge. The buffer material may be found in the wound channel in close range shootings. Another innovation to prevent distortion is the use of a shot cup that encloses the shot as it travels through the barrel, with the shot cup falling away when it exits the muzzle. Up to four or five wads can be present in a shotgun cartridge, although two or three are more common. The wads are used to provide a gas tight seal as the projectiles pass into the barrel, to separate the propellant from the pellets, and to close the mouth of the cartridge case. Wads are usually made from paper or cardboard, plastic (range of colors), felt (which may or may not be waxed or greased), and occasionally cloth type material. Wads may be faced with waxed paper or by black or colored glazed paper, and the overshot wad may be covered with a paper label containing printed information about the cartridge. On discharge, the wads are propelled from the muzzle, but due to their shape and weight they only travel a short distance unless carried by the wind. However, in close range shootings (usually less than 6 feet) a wad or wads can be encountered in the wound channel. Sometimes a single rifled slug, a single lead ball, or a plated steel ball is loaded in shotgun cartridges. These are designed for heavy game at short range or for special purposes, for example, by the police to penetrate an engine block, thereby disabling a fleeing vehicle. Rifled slugs transform the shotgun into a makeshift short range rifle capable of considerable penetration and great stopping power at close range. Some slugs are made with hollow points to increase expansion on hitting the target. A sabot slug is manufactured which can be fired from a smooth bore but is most effective when fired from a rifled shotgun barrel. Special purpose ammunition is available for use in shotguns, for example, large slugs for use against door locks and hinges for forced entry into premises and vehicles; saboted bullets and slugs, tear gas, pepper balls, smoke screen; flechette or rubber pellet loads and beanbags for riot control. Special shotgun loads are also used by the military for bomb disposal work. Shotgun cartridges, mainly because of their larger size, are particularly suitable for loading with special devices and chemical agents. Several examples of special loads are as follows. A single cylindrical frangible metal/ceramic slug which appears to be a mixture of iron and dental plaster is used in the "Shok-Lock" round which is designed for gaining entry to dwellings by destroying door locks. Sometimes a wad is attached to the base of a slug to provide a gas tight seal as it travels through the barrel of the shotgun. 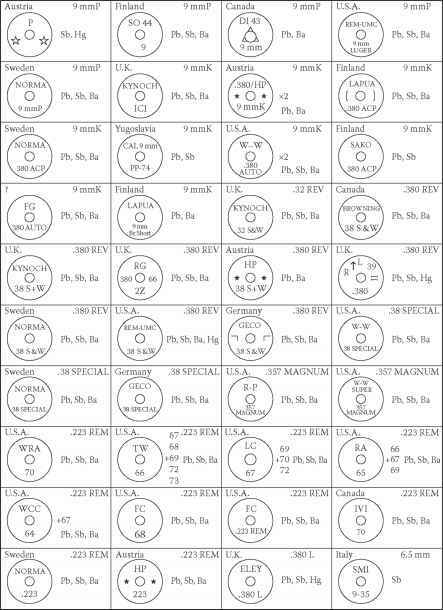 What is in incendiary rounds magnesium? What is phosphorusbased incendiary device? How incendiary bullets are made? What chemical is in incendiary bullet? What chemicals are in incendiary bullet? What is in an incendiary round? What is incendiary in firearms identification? What cemical is in gun bullet? How to make incendiary shotgun shells? What chemical is in incendiary shells? What are incendiary ammo made of? How to make incendiary rounds? What are incidiary bullets for? What makes a incendiary round a incendiary?